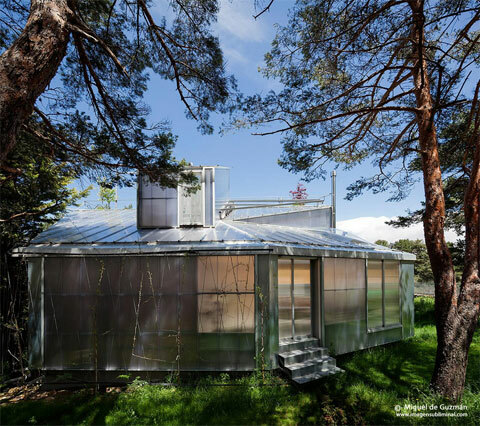 Wouldn’t it be amazing to live in a house that reflects its surroundings? 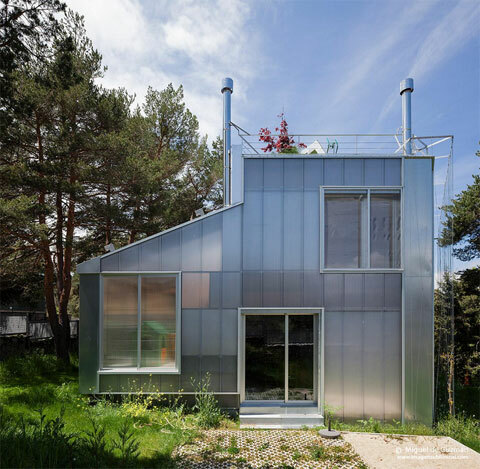 Espinar House fulfills such a challenging task by using a special skin material: cellular polycarbonate panels. 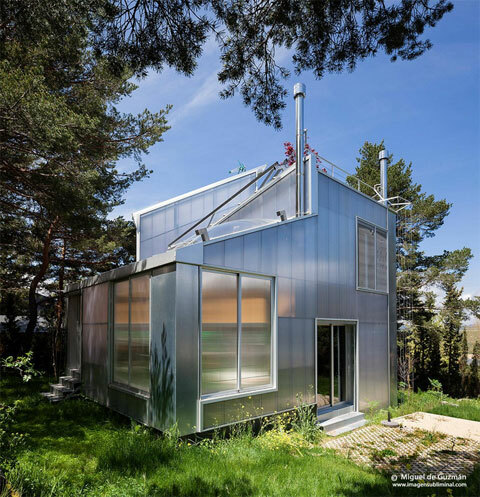 Situated on a mountain site near Madrid, Spain, this two-story prefab home takes advantage of its unique location by enhancing every type of relation with the natural context, either in social or private areas. The composition of the program respects a minimal guideline: a simple plan organization was duplicated in two different levels. 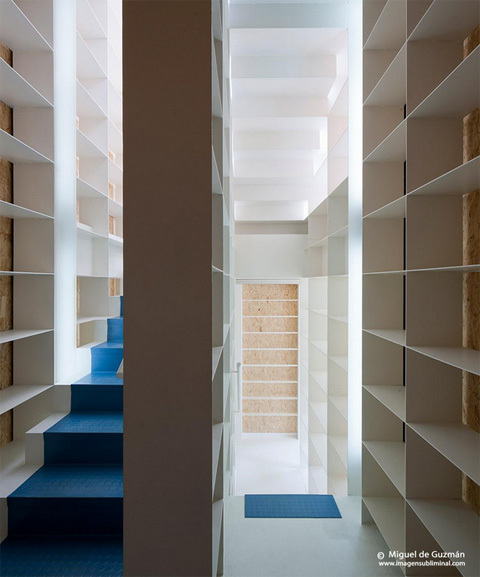 On the ground floor, a split-level hall works as an intermediate space between the two floors. An open space gathers kitchen and dining areas while two bedrooms and bathroom are positioned on the opposite side. 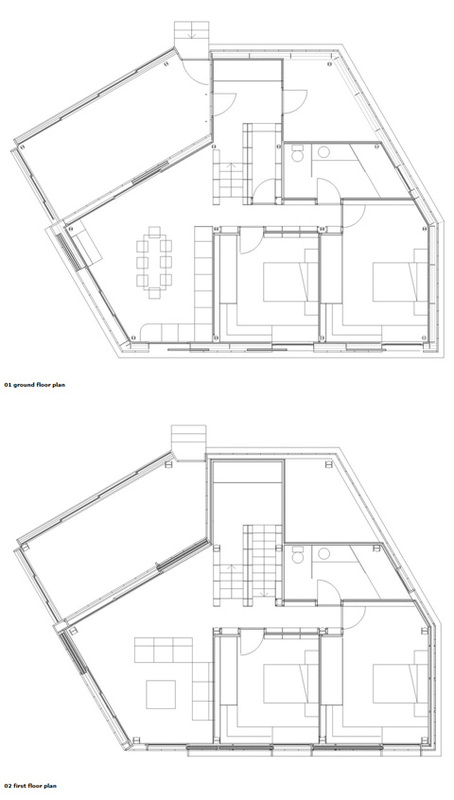 The first floor repeats the same spatial disposition: only a living room takes the place of the previous social areas. 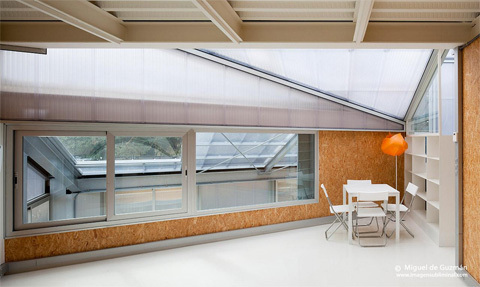 However, an unexpected roof garden seems to capture the enigmatic atmosphere of Espinar House. 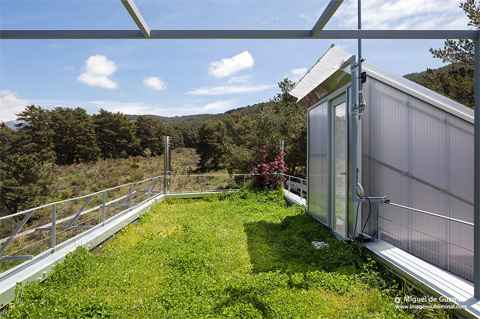 The top deck area is a roof garden, positioned at the level of treetops, with panoramic views of the surrounding mountains. 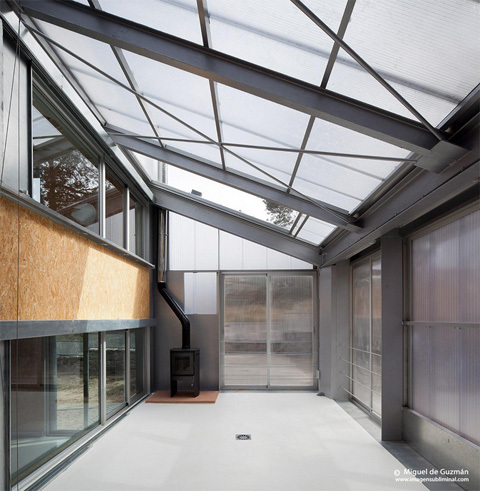 The structural anatomy of this house follows a prefabricated concept: the use of steel frames, sandwich panels and polycarbonate contributes to a faster construction time and also reduces costs. 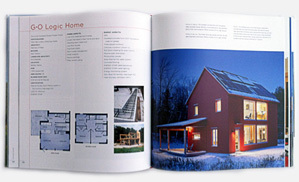 In fact, all the interior areas demonstrate the sequence of materials and techniques. 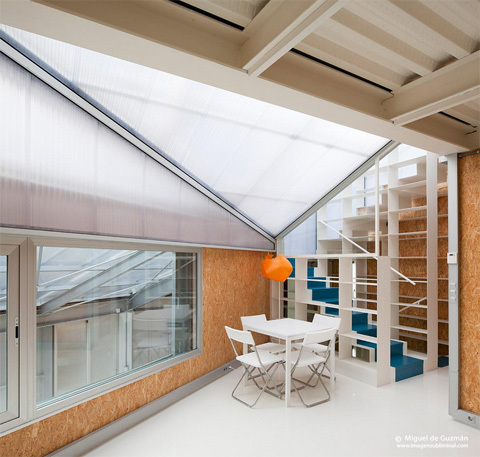 White painted steel structures contrast with OSB paneling and grey concrete flooring.